Should you take screen time seriously? It is rightly said that technology is a useful servant but a dangerous master. While we cannot deny the utility of technology in our day to day lives, the effects of overuse of technology are no longer a secret, especially when it gets in the way of the mental and physical growth of our children. Yes, screen time has its pros and cons. Multiple studies have warned about the potential negative effects of too much screen time. Here are some facts, problems, and solutions about screen time that every parent should know. Screen time includes watching TV, working or playing on a computer, playing video games, using smartphones or I pad for entertainment or play etc. Screen time is a sedentary activity characterised by much sitting and little physical exercise. Most children spend three hours a day as a sum total of all screen time activities like playing video games, watching TV etc. How much screen time OK for kids? What is meant by setting screen time limits? Setting a limit on screen time does not mean stopping your child from using screens. It means making sure that your child does not miss out on important activities like reading, physical play, art, craft and other social, recreational and developmental activities. Screen time limits will make sure that your child remains updated with the use of technology as well as gains developmental milestones through the screen and non-screen activities. Yes! Screen time can have a positive influence on your child, especially if you get involved when your child is using them and help your child make good choices. Children’s apps with puzzles, maths quizzes, art games, video games etc.can develop problem-solving and critical thinking skills. Learning new skills through YouTube videos is also common these days. TV shows and movies based on books can encourage children to read. Watching National Geographic, Discovery, Discovery kids, Animal planet, History channels can be an interesting way to develop a child’s interest in subjects like History, Geography which children usually find boring. Using software and apps like Corel Draw, Photoshop (Yes, children aged 8 years and above can learn them), Paint, Video making applications can develop skills in imagination, art or they might be inspired to make something by a TV show like MAD club. For older children news apps can help create social and political awareness. Joining online clubs, gaming consoles can help children practice taking turns and cooperation. Online group games are also a great way to help children interact with others. Not knowing the use of technology can put peer pressure on your child and affect his/her confidence. So allowing the use of gadgets for a limited and controlled period cannot cause any possible harm. Spending too much time in the virtual world as opposed to the real world can have detrimental effects on the health and well-being of children. 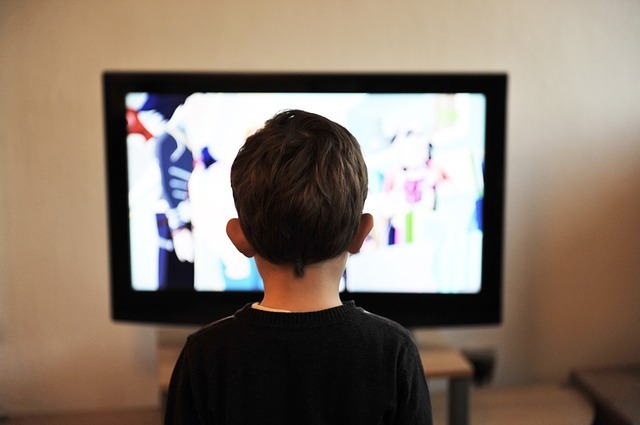 It can raise your child’s risk for gaining too much weight (obesity) due to the sedentary nature of screen time activities and poor eating habit when watching TV(tendency to overeat even when full). Neck and back related problems due to poor posture, poor posture itself being a problem. Problem falling asleep due to notifications from chats, social media which can get your child addicted easily. Your child could encounter dangerous material or people on the internet. For example, the Blue whale game that shook the entire world with many teens committing suicide by following the game on the internet. Children may copy or be influenced by negative behaviour, gender-based abuse, violent and obscene imagery or coarse language that they see in advertising and other media. It can hamper the ability of your child to have conversations, maintain eye contact, pay attention in school or read body language. Too much screen time can have an adverse effect on children’s language development and social skills as children need real-life interactions to develop these skills. How to protect your child from the negative effects of screen time? As discussed earlier, screen time is not bad if it is under control. However, it needs to be monitored carefully to avoid possible harmful effects. Many parents face a problem in limiting their children’s screen time. There is one fact that surely needs to be considered- We can do more when kids are younger; it is harder to intervene as they get older. Here are some tips to intervene. Parents put limits on the amount of time spent on the computer or in front of the TV for their kids, but what about themselves? Make sure that the rules are uniform for everyone in the house else your child will rebel against the limits set by you. Spend quality time with your kids every day so that they don’t resort to social media to share their innermost thoughts.Set your phone on air plane mode when you are with your kids to avoid distractions. Many parents find it easy to feed their toddlers by engaging them in screen activities like watching TV, YouTube videos etc. However, this practice not only increases the screen time of your child but also leads to poor eating habits and digestion as the child does not concentrate on eating. Screen time at the dinner table also limits family conversation which is very essential to connect with your child. It would rather help to chat with your kids, share stories at the table. For example, tell your child in advance the time limit for using a tab, say 45 minutes. Give a reminder to your child at 40 minutes (taking away the tab abruptly at 45 minutes will lead to reluctance to give up the tab ) and then finally take the tab at 45 minutes. Yes. I know this doesn’t work that easily. That’s where we set the limits. Tell your child in advance that if the tab is not given up at 45 minutes he/she won’t be getting it for the next 10 days. I do that with my child and it works for sure as I don’t give the tab for the next 10 days as warned earlier. Surely you child won’t like to miss the favourite tab time for 10 days to get those 5 minutes extra. Computers can be shut with a password, TV connection can be taken off in the same example. Children love challenges. Tell them “Let me check how strong your self control is! Let’s have no screen time for a week (It can be a day , a month or a particular period).”Do this with the consent of your child.They will probably like to show you how well they are in control of themselves. Go for that long-awaited trip or a walk in the neighbourhood. Play family board games, puzzles, pretend with your child. They will never miss their screen time when you are with them. Let the family follow certain screen time rules. Put up a family rules poster in the study room or living room. You will enjoy making it together and children will accept the rules easily. Rules may include not watching TV while having food, setting TV/Tab/ Video game timings, no use of mobile phones after 9 or 10 pm (for older children) etc. Be firm about the rules and follow the punishments for not adhering to rules. A ‘no’ should mean a real ‘no’ else the child will take your rules for granted. Yes. There are apps in the market (both for Android and iOS ) which help you to monitor and control your child’s screen time without having to get abusive and angry at your child. These apps help you to set a time limit on your smart device on the daily basis so that you can restrict the usage of the device. Parents can also limit screen time by defining different rules such as bedtime, dinner time, homework time. Some of the apps are Screen time, Norton family, Kaspersky safe kids, family time etc.You can also browse for free apps from Google play store. Finally, spend time with your children and try to know them and their needs better. It will surely help to tackle the problem better. Don’t forget to subscribe to Mommy’s Magazine and do share the post if you like it. Your feedback in the comments section will be highly appreciated.